Second review of the year! Summary (from Goodreads): In a hole in the ground there lived a hobbit. Not a nasty, dirty, wet hole, filled with the ends of worms and an oozy smell, nor yet a dry, bare, sandy hole with nothing in it to sit down on or to eat: it was a hobbit-hole, and that means comfort. Review: I wanted to read this before I saw the movie. Also, this was my first Tolkien. I wanted to love this book, like so many others do. However, I think I missed the age group. Yes, it is wonderfully written, but it is completely aimed towards a child. I didn’t like the “all-knowing narrator”. I felt that it distracted from the story. Also, I didn’t feel connected or concerned with the main character. Maybe I’m just used to those sort of books. Anyway, overall, the book was pure story. Nothing random, nothing frivolous. And that’s what a book should be. Though I thought there could have been more description about these places. I’m intrigued to see the movie, but I’m not sure I’ll read any more Tolkien. Recommendation: I say read it and figure it out for yourself, but don’t put too much pressure on loving it. Perhaps borrow instead of buy. If you have younger siblings or kids or cousins you could read it to them or with them. I think children, who the book was written for, will love it. I found the style of “The Hobbit” rather irritating as well. I love the dwarf-songs, though – actually, I mostly read Tolkien for the poetry! 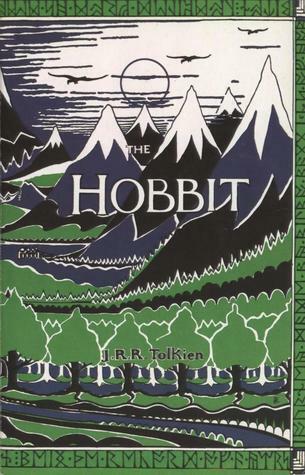 It’s been a while since I read anything else by him, but IIRC, most of it is quite different in style from The Hobbit.